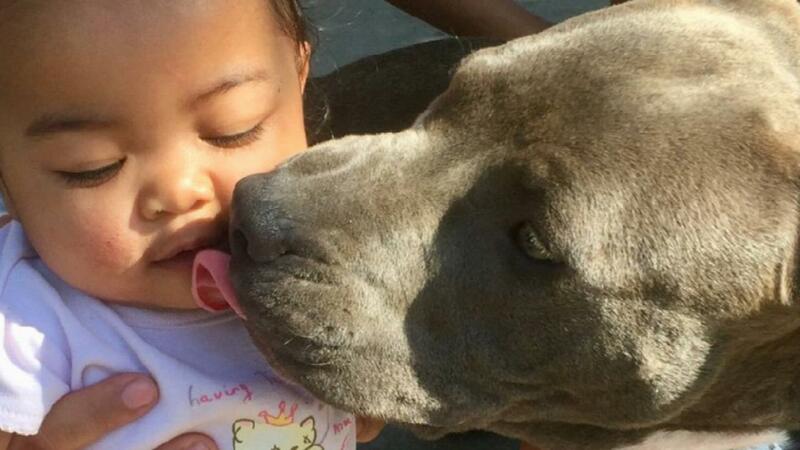 Nana Chai is thanking her lucky stars for her pit bull, Sasha, who saved not just her life, but her whole family’s as well. 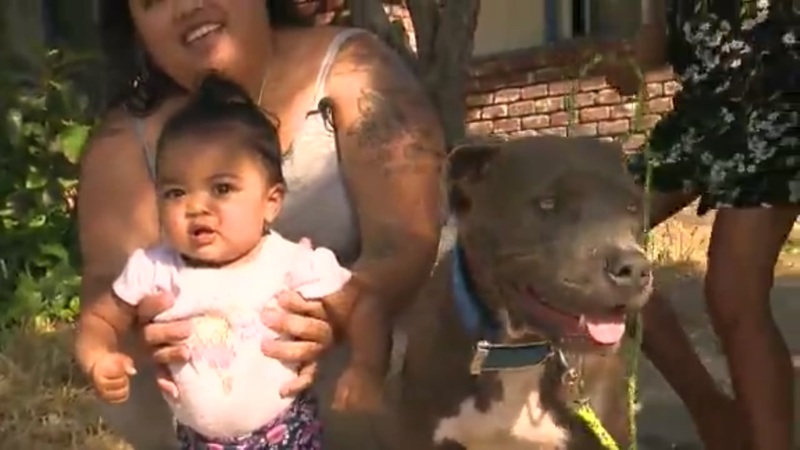 The Stockton, CA-based family most likely wouldn’t be here had it not been for their precious pittie. Sasha’s story goes even deeper than her heroic tale, though, and makes her story that much more beautiful. It all started when the Chai family first adopted Sasha into their home. Shasha inherited a big and entirely new family, including Nana Chai and her three children, not to mention Nana’s aunts and cousin that lived in the same apartment complex as them. While there were many new members in Sasha’s family, there was one she became particularly attached to. 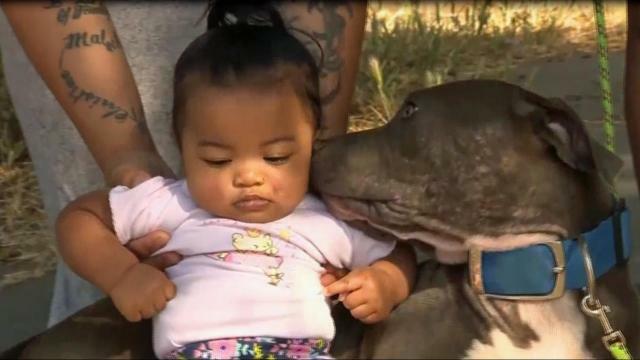 Of the three children, Sasha chose 8-month-old baby Masailah to form an unbreakable bond with. No matter where she went, Sasha was always right there with her. Then one day in June of 2018, Sasha started yelping at Nana Chai out of the blue and wouldn’t stop. The intelligent pit bull knew something was amiss and was determined to warn Nana that she needed to get out of the house. When it became clear that her dog was not going to be quieted Nana decided to go outside and have a look around, just to make sure all was good. When she stepped outside, though, she didn’t believe what she was seeing. 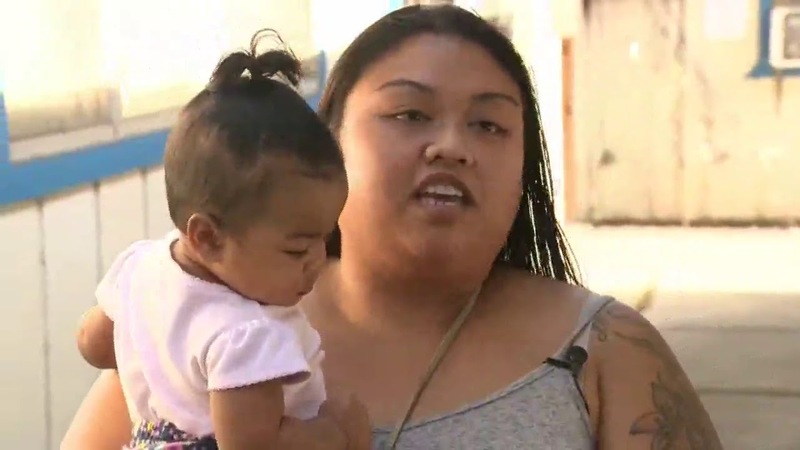 In an interview with the Inside Edition, the grateful mother relives the awful moment she became aware that she and her daughter were in serious danger. Nana knows her pit, and when Sasha wasn’t acting herself Nana knew that there was something wrong. When she looked outside she witnessed her neighboring apartments being engulfed in gigantic flames, and they were heading straight down the complex toward her own apartment. A shocked Nana couldn’t help but stare aghast at the impending doom that lay before her for a moment. That mere moment was all it took for loyal Sasha to leap into action. Without wasting a nanosecond, Sasha bound into the apartment in search of her favorite baby girl, and by the time Nana had caught up with her in Masailah’s room, the heroic pit had part of the infant’s diaper in her mouth as she got ready to drag her off the bed out to safety. Quickly, Nana gathered up Masailah to herself and grabbed Sasha by her collar and made their way out of the house. Nana’s two older children had fortunately been visiting their Dad at the time the fire broke out, but Sasha had no idea that was the case. 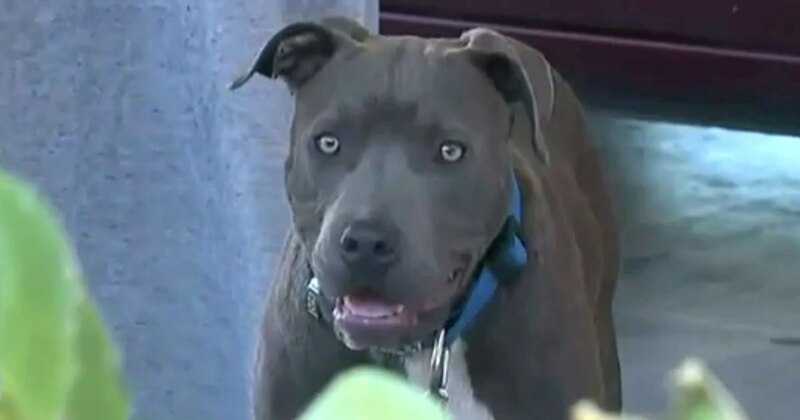 As Nana tried to give a warning shout to her neighbors and extended family, Sasha shot back into the house like a bullet in search of her other two humans. By this time the Fire Department had arrived and refused to let Nana go rescue her miracle pit from the flames, and so she had to watch and wait. Finally, the fire was quenched and Nana desperately picked through the remains of her home looking for the dog that saved her and her baby. After rummaging through the burnt remains of their home, it was in a small closet that she finally found a scared and worried Sasha curled up, waiting for her own rescue. The closet she had hidden in was the same closet her older children loved to hide in while playing hide and seek, and so apparently Sasha though that is where they might have been when the fire broke out. Clearly, it’s an excellent hiding spot. 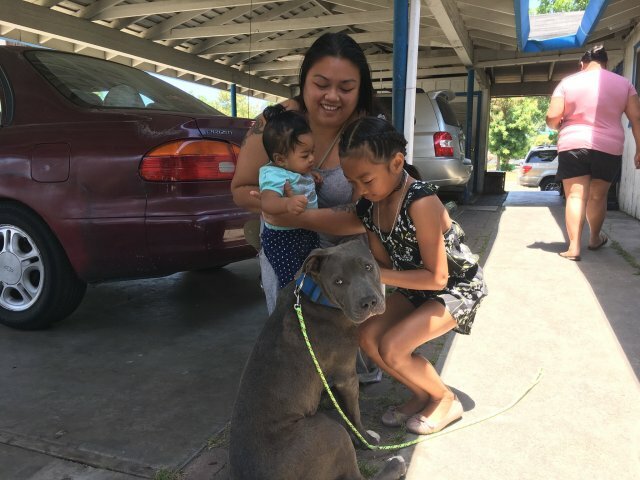 We are so happy that Sasha risked her life and lived to become a hero to Nana and baby Masailah, who has the best guardian a little princess could ever dream of!